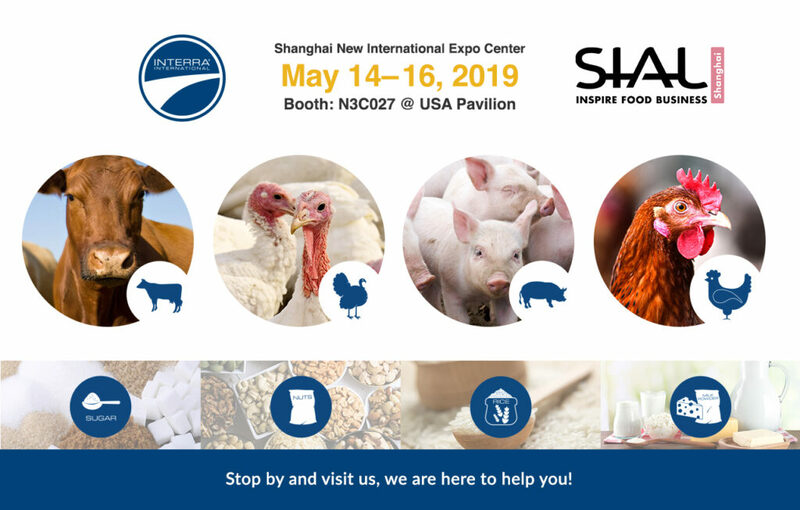 SIAL China is set to inspire the future of food business this May, from the 14th to the 16th at the New International Expo Centre in Shanghai, China. Last year’s expo boasted record number – 3,400 exhibitors up 6% and over 110,000 professionals in attendance, an increase of 9% from the previous year. This year, SIAL China will be the biggest ever with 162,000 square meters of exposition space and showcased products and food trends from all over the world. Interra International will be at Booth N3C027 at the USA Pavilion. We welcome you to join us, meet our incredible team of industry experts, and share the excitement of the leading food marketplace in Asia. Interra International, bringing quality food products to every corner of the globe. International Trade with a Local Voice – 30 nationalities and 14 languages. Contact us for more information. previous post: What is a Global Food Distributor?